Barbara Roper is director of investor protection for the Consumer Federation of America, where she has been employed since 1986. CFA is an alliance of approximately 300 pro-consumer organizations, which in turn represent more than 50 million individual consumers. A leading consumer spokesperson on investor protection issues, Roper has conducted studies of abuses in the financial planning industry, state oversight of investment advisers, state and federal financial planning regulation, financial planning software, financial education needs of low income older persons, the need for audit reform in the wake of the Enron scandal, the need for mutual fund reform in the wake of trading and sales abuse scandals, the information preferences of mutual fund shareholders, systemic risk regulation, and securities law weaknesses as a cause of the financial crisis. She has testified frequently before Congress and has supported federal and state legislative and regulatory initiatives on a broad range of investor protection issues. Roper is a member of the SEC’s Investor Advisory Committee, FINRA’s Investor Issues Group, and the CFP Board’s Public Policy Council and Standards Commission. 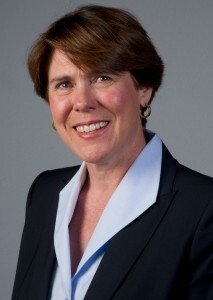 She has previously served on FINRA’s dispute resolution task force, the Public Company Accounting Oversight Board’s Standing Advisory Group as well as its Investor Advisory Group, the Investors Working Group, the board of Fund Democracy, and the national advisory board of AARP’s Money After Fifty program. She is the 1991 recipient of the National Association of Personal Financial Advisors’ Distinguished Service Award, the 1992 recipient of a Distinguished Service Award from the North American Securities Administrators Association, and a 2004 recipient of Consumer Action’s Consumer Excellence Award. She graduated in 1977 from Princeton University with a degree in art history.